If I had to pick one food to eat on a daily basis, it would be noodles. In fact, when I was a stay-at-home mom with two little toothless boys, it was our daily meal. And, we never got tired of eating noo-noos. 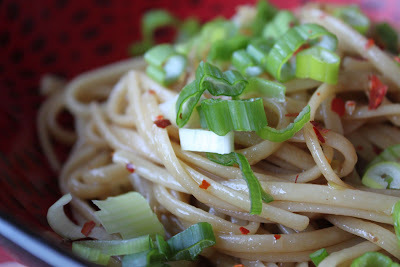 The kids still love what they call "seasoned noodles" - cooked noodles tossed with olive oil and garlic salt. 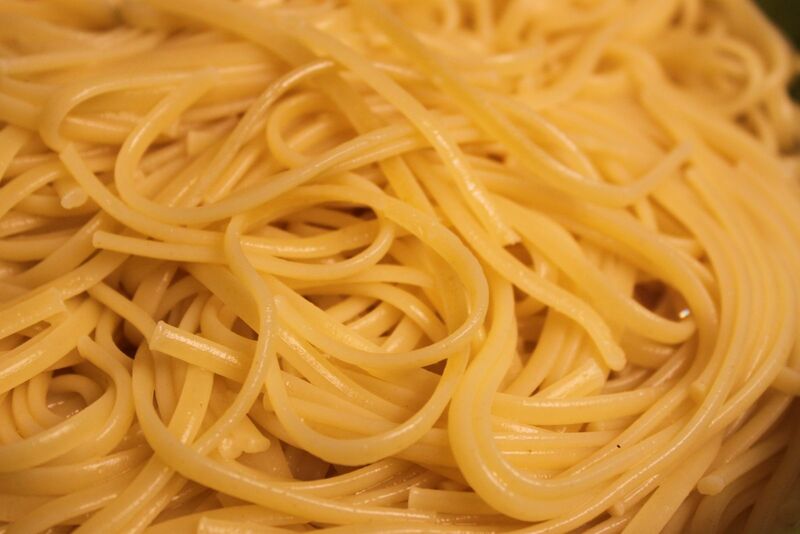 But, I've evolved a little from the seasoned noodles days and like to shake things up a bit. I still like to keep things simple though and this recipe fits the bill. It's from Gooseberry Patch's Homemade Christmas, copyright 2010. And, it's my new favorite. Heat oil in a skillet over medium-high heat. 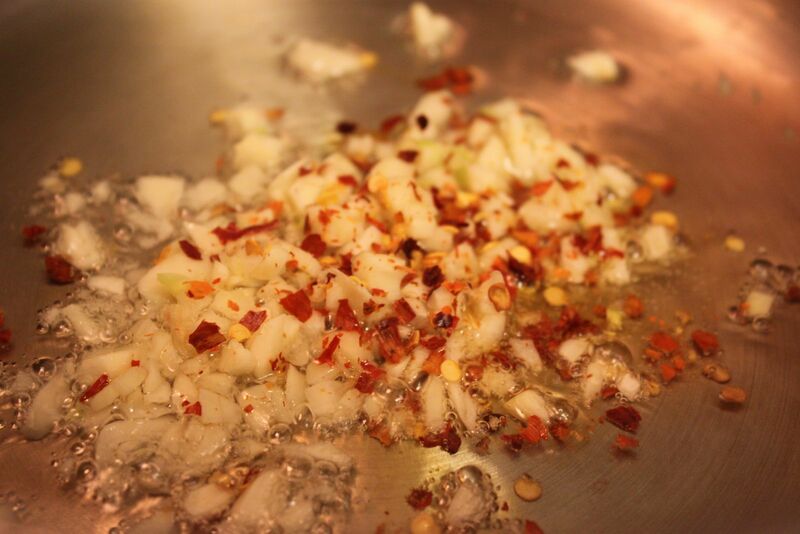 Add garlic and red pepper flakes; cook and stir for two minutes. Add cooked spaghetti and toss well. Stir in soy sauce and heat through. Garnish servings with chopped onions. Makes 6 servings. Simple sauce: olive oil, garlic, and red pepper flakes sauteed for a minute or so. Toss in the cooked noodles and soy sauce. Sprinkle on the green onions. 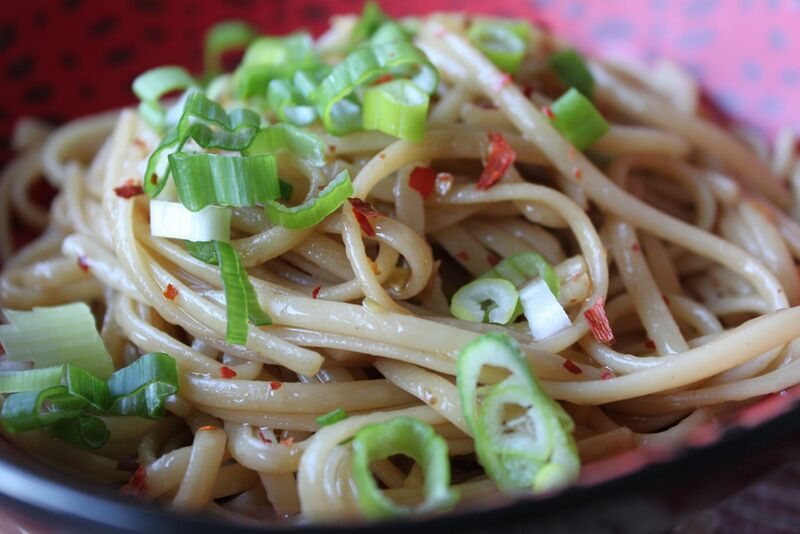 These noodles get a little kick with the red pepper flakes. I'm in love! Yummy...a little Asian flare is always good! Add some protein, and it's a full meal. Thank you for sharing this recipe! !